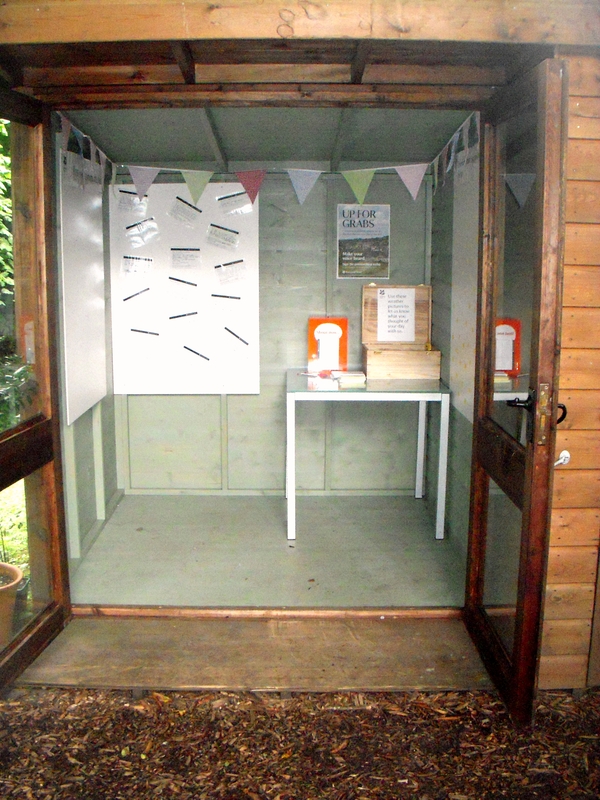 Today saw the creation of a feedback room, to replace the old raffle ticket hut that stands behind visitor reception. Inside there will be comment cards and surveys and a display board where people can rate their day using weather symbols. With the help of one of our volunteers, Mike (and his screwdriver) we even added some colourful bunting! The feedback room will be in use until the end of September. After that it will be relocated and used by the gardeners. Until then, we hope that all our visitors will pop in on their way out and let us know about their day at Stourhead.